This book presents a new model for understanding and improving organizational performance. 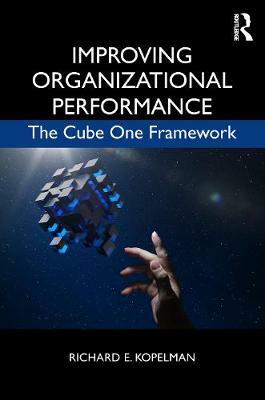 A discussion of the existing literature on organizational performance provides students with a solid foundation for understanding the principles of the Cube One framework, which shows that the key to organizational success is a balancing act between attracting and retaining employees, customers, and resources. The multi-stakeholder approach is backed up by empirical evidence, and supplemented with cases about well-known companies (Google, Zappos). After reading this book, students of organizational behavior, HRM, and management will understand the ingredients needed for organizational excellence. Richard E. Kopelman is professor of management at the Zicklin School of Business, Baruch College, USA. His research focuses on improving work motivation, productivity, and organizational performance. He has published in several key journals, including the Academy of Management Journal, Decision Sciences, Organizational Behavior and Human Performance, and the Journal of Applied Psychology.